So, you may have heard us ramble on about our nuptials on various social media - or even our website. Well, what a whirlwind that was! With 6 months of solid preparation (we decided to make most of the decor and accessories by ourselves) and still working the business full time, I think it is fair to say that by the end of it all, we were both burnt out. Our engagement occurred in the wilds of Iceland under the night sky whilst the aurora borealis attempted (but ultimately failed) to form. Needless to say, in the years we had to plan our wedding, we hoped to include our previous travels, love of the outdoors and history into the general feel and look of the wedding. We chose our venue early on (with a three year waiting list) after viewing lots of different places that would become wildly inappropriate in cost (I’d rather buy a house, thanks.) 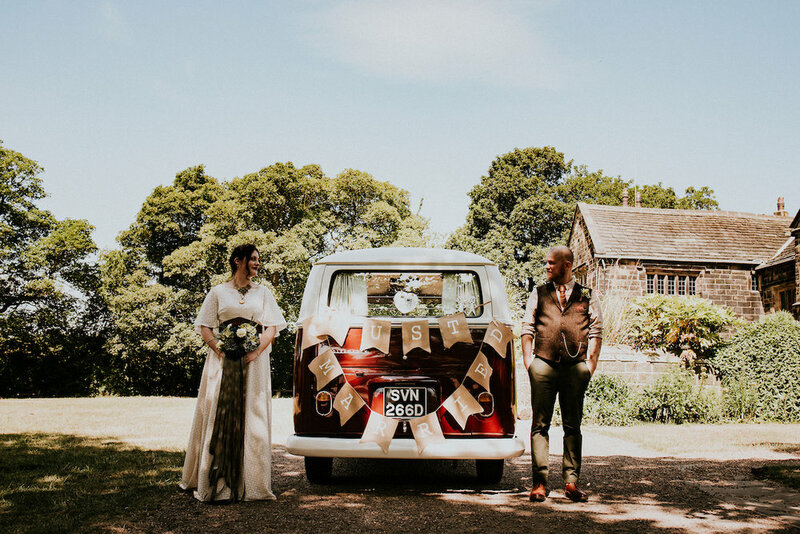 Our venue was the fantastic Oakwell Hall - with acres of woodland and a country park, a hall clad in such wonderful oak panelling for our ceremony and a listed barn for our reception. 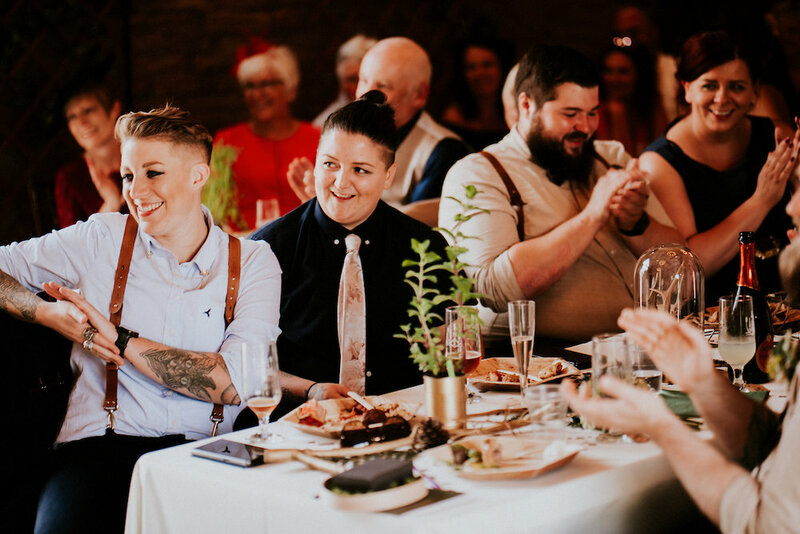 Oakwell Hall allowed us to have the freedom to decorate, feed and water our guests with our own choice of caterers (including ourselves). This was so important to us - we didn’t want to be tied into a set menu with lack lustre choices and through the roof prices per head. 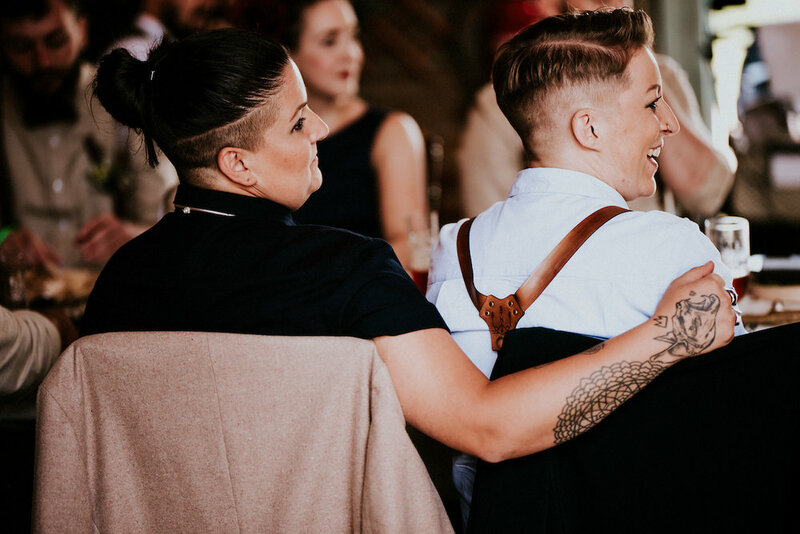 We wanted an informal affair, that embraced the venue and the summer months we were intending to marry in. All this choice ultimately meant a lot of work, but upon reflection it was the best thing we could have done. Our wedding was a true representation of who Jason and I are, and our relationship (including Hord). I entered the whole “dress shopping” approach thinking I had already found ‘the one’ and that I was sorted. My initial find was online and in Canada - no option to try without an expensive holiday. I decided I needed to try some different silhouettes to see what works for me - enter Glory Days, a York based company focusing on vintage dresses from the 1900’s to the 1980’s. What more could I need to get an idea of silhouettes and styling? I booked an appointment, dragging my mum and sister in tow and tried a myriad of beautiful dresses. From 1920’s flapper, to floaty 70’s offerings. Here, I also managed to try on some of their in house designs by Rolling in Roses, beautiful dresses that are inspired by their vintage sister brand. I learnt that all the vintage dresses could be added to and manipulated and that they offer bespoke dresses too. 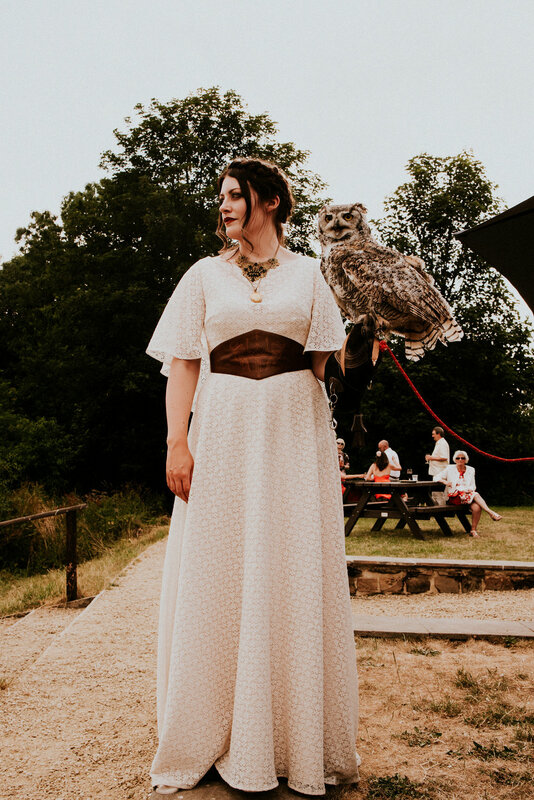 And so my journey with Hayley began - she crafted a beautiful dress for me which was a tweaked version of her Witch-hazel dress - an over layered boat lace neck line over a silk plunge V bodice, Ivory lacing and a fuller skirt with back detailing. My whole experience with Glory Days and Rolling in Roses was fabulous. 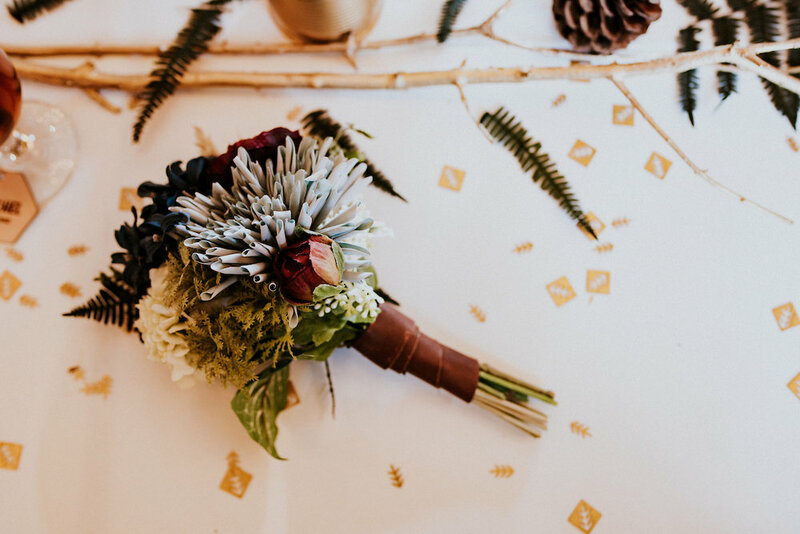 I heard many a nightmare story about how boutiques treat their potential customers, but Hayley and her team were an absolute dream to work with. For myself, I made my leather cinching belt, backed with leftover silk from my dress. Hooked with a vintage buckle at the back of the belt, it echoes the deep V’s that appear throughout the dress. The belt was engraved with our wedding logo and my illustrative details from carvings which appear in the venue. I made myself a fur stole for the evening (but alas, it never cooled down enough to use it). I purchased two necklaces for my outfit, one is the elaborate large piece which echoes the shape of my belt buckle and the other is the gold locket. I attached the two temporarily for the day - the locket held photos of my Grandparents who couldn’t be there on the day. My hair was done by the lovely Faye at XTG hairdressing, Huddersfield and I engraved my own boots, made leather spats and paired them with lace socks. Jason’s approach was almost as haphazard - he knew the style he wanted but colour palettes were being thrown here there and everywhere. One thing was certain, and that was Jason didn’t want to wear a three piece. Our wedding was in the beginning of July and we felt that even if the weather was dire, it would still be seasonally warm. Here starts our hunt for the perfect waistcoat! We wanted a tweed full back waistcoat - no shiny satins here please! This proved so difficult to source! We found a beautiful harris tweed waistcoat with cotton back and so I bought it on a whim - the colours were perfect but that back was still not in a matching tweed. 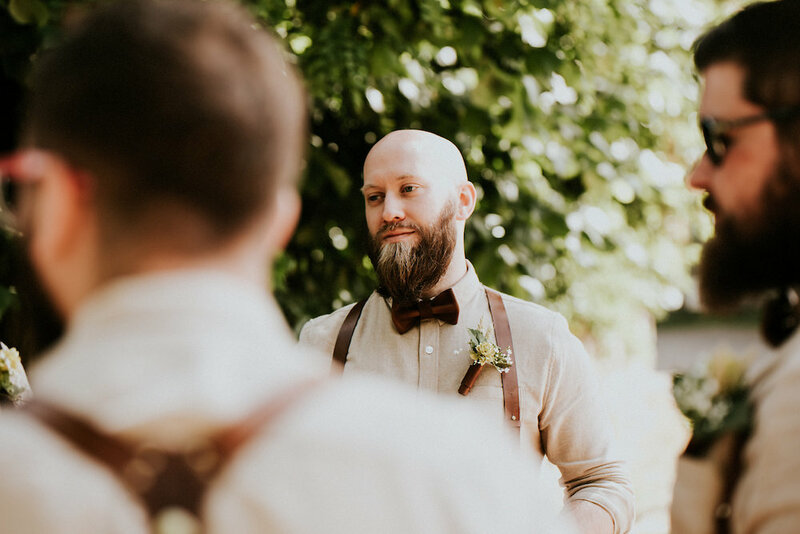 I decided I would try to make one for him and utilised that degree from years ago… Whilst I started work on the patterns and fittings, slowly but surely Jason fell in love with that original waistcoat and I was freed up from a job! Paired with some comfortable chinos and a lightweight and super soft shirt the outfit was nearly complete. To accessorise, we made an engraved leather belt which matched his brogues, a leather wrapped hand made corsage and a full leather tie - made from the same leather as my belt. 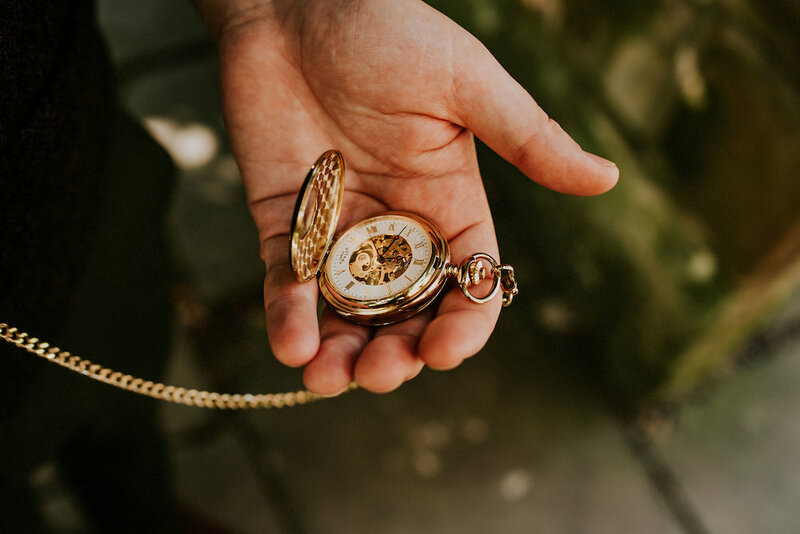 Oh, and of course the wind up pocket watch! Jason’s best man and groomsmen wore matching shirts and chinos to Jason and they were fully kitted out in Hord gear. 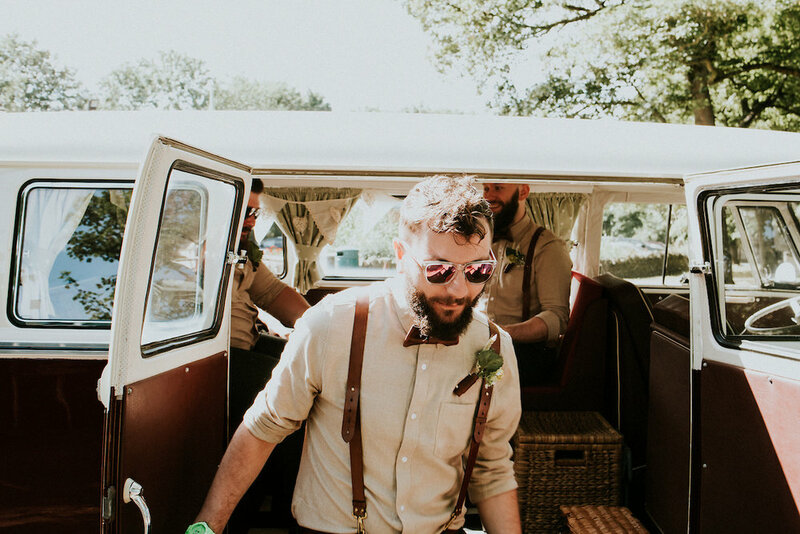 We decided we wanted the groomsmen to wear leather suspenders, dicky bows, and belts. My Maid of Honour also wore leather braces, whilst the bridesmaids wore wide leather cinching belts with ornate brass buckles. All of our bouquets and corsages were arranged by Jason and I. In Part 2 of Unity of Two, we shall venture into our venue decorations and graphic work (and we might even be able to fit in food and booze!). If there are any other elements you would like to know about, leave a comment below!